The word Probiotic literally means “for life”. For a contrast, antibiotics literally means “against life”. Probiotics present a group of beneficial bacteria that play the first line of defense in your gut against harmful bacteria, parasites, viruses and fungus. By forming colonies on the intestinal wall the good bacteria does not allow pathogenic (harmful bacteria) to get attached to intestinal cells. Probiotics produce enzymes, so vital for proper digestion. Without adequate amount of good bacteria in your gut, food is not being digested properly; it starts to rotten in your intestines causing gas, bloating and constipation. The whole GI tract becomes toxic and acidic, which allows fungus to multiply rapidly further suppressing your immune system. WHAT IS MY CHOICE FOR THE MOST EFFECTIVE PROBIOTIC ON THE MARKET? For over 20 years, I recommend “Natren” probiotics to my patients with digestive problems such as gastritis, colitis, Crohn’s, candidiasis, Celiac disease, gluten intolerance and IBS. Natren Inc. was the first company in the probiotic industry to be awarded GMP (Good manufacturing Practices) Certification by the International Therapeutic Goods Administration as a Drug GMP facility. They use only super strains (example: DDS-1 and LB-51); all probiotics are bottled in dark glass bottles to block light; all products are refrigerated at all times from manufacture through shipping in special “cold” insulated containers to preserve potency of live probiotic product. Nevertheless, I never believe a claim unless I tried the product myself. Over the years, after using over dozen different probiotics, I was always going back to Natren’s products. You know why? Because it works. The Shocking Truth About Artificial Sweeteners. where can you buy natren product? 3. from me ( I sell all lines of natren products, and if you buy 4 bottles of any probiotic the 5th one is free.) Your will receive your probiotics directly from the company. They ship it on ice, 2nd day air. Just e-mail me at galina@knowyourgut.com with the name of the product and quantities. P.S. Be aware that natren probiotics must be refrigerated at all times to preserve potency. I have seen numerous online stores selling natren probiotics close to expiration date and not refrigerated. I was allergy tested and found to be allergic to yeast, mold certain trees, grasses and weeds. I have been on the paleo diet, probiotics, supplements, diflucan, and allergy shots for the past 11 weeks and I was feeling really good until 2 weeks ago. 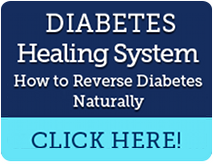 I began having dizziness, headache, brain fog, muscle cramps, low back pain and diarrhea. I was wondering what could have stopped my progress to becoming well. I am now being tested for parasites, but that was only because of my insistance. I just want to get well. This has stopped me in my tracks and I have been unable to function as a normal person…..my life has become a struggle. It could be anything from gluten intolerance to IBD or IBS or reaction to probiotics/supplements you are taking. Dear Galina, where can I buy Bifidobacterium infantis 35624 without all the bad ingredients? The probiotic you recommend above “Natren” does not ( as far as I can see) include Bifidobacterium infantis 35624 ? in a previous artikel you said: “In a 2009 review of scientific studies on IBS probiotic treatment, Bifidobacterium infantis 35624 showed significant improvement in the composite score for abdominal pain/discomfort, bloating/distention, and/or bowel movement difficulty. Bifidobacterium infantis 35624 has been shown to prevent invasion of the gut lining by one of the bacteria thought to be responsible for inflammatory bowel conditions such as IBS and reduced inflammation in the gut.” I would very much like to try said bacterium. Natren has a product called Life Start – Dairy. It contains the Bifidocaterium infantis. Mix it with water, and drink it on empty stomach. I have a special deal for my patients and subscribers. If you buy 4 bottles, 5th bottle is Free.